When you live at Plaza at San Jacinto, you can head down Spencer Highway for the best cheeseburgers and milkshakes in town or cross the street to San Jacinto College just in time for your morning class. This radiant community of one, two and three bedroom apartments combines the best of interior design and outdoor amenities to present a complete package of refined La Porte living. Your home is located in a quiet suburb in Harris County ten minutes from the Sam Houston Parkway and fifteen minutes west of the Texas waterfront. Come inside and discover the beauty of Plaza at San Jacinto. 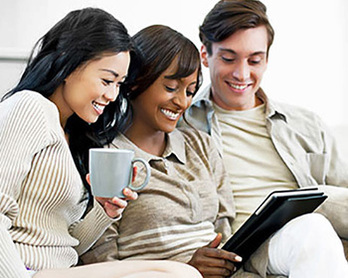 The community at Plaza at San Jacinto offers its residents full access to an array of fun activities. Put on your running shoes and visit the fitness center for an afternoon cardio session with your neighbors. When the Texas summer rolls in, relax with an evening dip in the sparkling swimming pool. The business center has Apple computer stations, so you can browse the Web, catch up on emails or finish writing your term paper. After your day of fun, come back to your apartment complete with a walk-in closet, a private patio and an in-home washer and dryer. 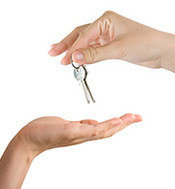 The kitchen is fully equipped with wood floors, a breakfast bar and a complete appliance package. 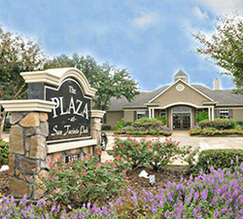 Find your way to the elegant apartments at Plaza at San Jacinto in La Porte, TX.